On The Mend Band is a musical show presenting some of Swedens best indie, folk rock and country artists. 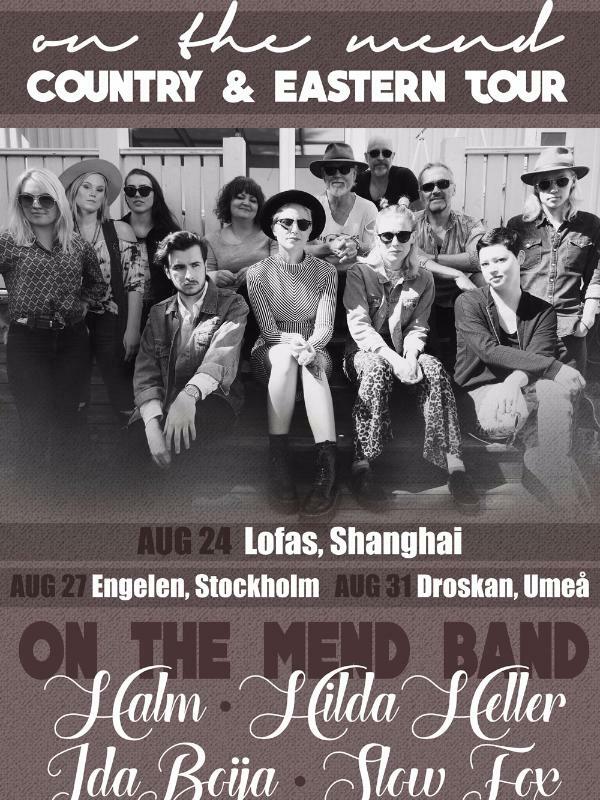 On The Mend Band consists of the bands/artists Ida Boija, Hilda Heller, Slow Fox and Halm. All of the bands and artists have released one or a few albums and are highly appreciated by the audience and the crirics. In total, On The Mend Band is 12 people. 7 women and 5 men but usually there are 6 people or less on stage and the artists changes as the show goes along.